Online poker is quietly thriving – with the games becoming more accessible to new and recreational players. 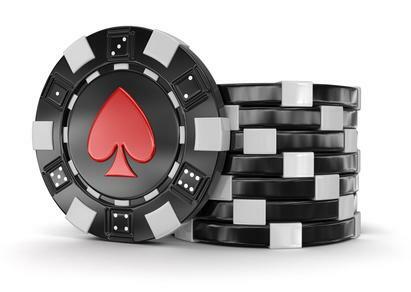 Sites (both the offshore US ones and worldwide giants) have realized that ‘grinders’ who multi-table are as much of a problem as a good thing, and are now optimizing their cash games, tournaments and sit n goes for those who enjoy playing poker as a hobby. This page will show you how to beat online poker games in 2019. The table below shows the best places to play in 2019, based on promos, bonuses and (most important of all) soft poker games! Get $22 in tokens with small deposit, use bonus code SNGPLANET to claim. #1 – Skill Levels vs Live Games: If you are used to playing a $1 / $2 game in your local casino, and try the same buy-in levels online, then even winning live players will be relieved of their bankrolls very quickly. The skill level is much higher online, math geeks dominate and (variance aside) you will likely be outclassed (however good a live player you believe you are!). The equivalent skill levels online are found at buy-ins from just 10% of the live games. If you play $2 / $5 live, then head for the 25c / 50c blind games online, and work your way up from there. #2 – Many Opponents Use HUDs: This stands for a ‘Heads Up Display’, most experienced players will use software which collects stats on all opponents (over many sessions), highlighting their weaknesses. These systems show up new players / fish very quickly. Those new players will be targeted and their known weaknesses exploited. Some sites restrict HUDs / database software, making the games less attractive to multi-tabling grinders and the games much softer. #3 – You’ll Need to Table Select: Sitting in the first table that has an open seat online is bankroll suicide. You need to actively find the soft tables, stick to the sites with many recreational players and keep reassessing and moving game if you suddenly find grinders coming in and spoiling the party. You can find out more on this vital skill in this Online Poker Table Selection article. These observations can make online poker sound difficult. The truth is that many games are very easy! What you need to know is that there are some sites which are full of grinders, and as someone new to the online game it will take a lot of work and patience to be able to beat them. There are a lot of articles here at High Tech Gambling designed to provide quick overviews on core poker strategy concepts for newer and improving players. Below are some of the highlights. Bookmark this page today, I will add to this list regularly as more articles are added. #1 – Position Awareness: Acting last in any poker game is a huge advantage. Getting dealt the exact same hands when last to act compared to first can easily be the deciding factor between a winning and a losing session. This is an even more important concept online, where you do not have the extra information from physical tells. Once you have conquered adjusting your starting hands based on position and raising your button light to steal and / or isolate then you are ready to find out about relative position. #2 – Bet Sizing: This subject is wide enough to be a small book. How you size your bets is a critical skill in getting value from your hands. It is also critical that you do not give away your hand (or at least range of hands) by sizing differently with (for example) draws, weak made hands and strong hands. Online poker opponents will be taking notes on you, and once they have this info you will be driven out of pots again and again when weak. Remember that pre-flop raises are different online from live – raising 4x the blind pre flop will tell your opponents instantly that you are a live player with little online experience. Once they find out, then they will come after you relentlessly! #3 – Stack Sizes: In cash games you’ll need to know how to deal with short-stacking opponents, though this topic applies more to Sit n Goes and Tournaments. 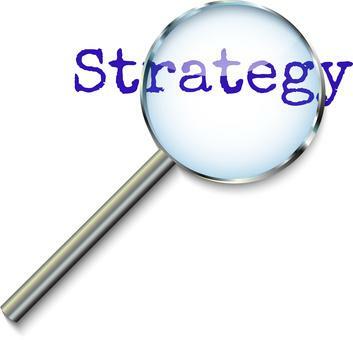 Here your strategy actively changes as the bets increase and your stack becomes shallower. Even basics like pre-flop bet sizing, hand selection and whether you can 3 bet without committing your stack become important. Remember that if you do not want a call and a raise would commit you to calling a shove from a small stacked opponent, it is often better to raise all-in yourself. There are many more topics, for example bankroll management, though for one article I have hopefully given enough food for thought. One more time: online poker games are much tougher than their live equivalents, you’ll need to take your own understanding of many concepts to a new level to break through – good luck! Welcome bonuses make the headlines (and to be fair there are some good ones around). Here I will explain that ongoing player rewards and loyalty programs make a much bigger difference to your bankroll over the long term. The problem with welcome offers is that however good they are, in 30 to 60 days they will be completed. If you find a site with good games and software, you may be playing there for several years. In that time you’ll pay a lot of fees either via the tournament entry take or the rake from cash games. If you can get some of that investment back via loyalty bonuses and other rewards, this can add up to a lot of money over the weeks and months. Look out for reload bonuses, tournament tokens, point collection schemes with extra bonuses and a healthy list of one-off and special promotions. If you feel that your current site is not treating you well as a regular player, then move! There are plenty of poker sites that will look after you much better. Now that you have understood what to expect from online poker and seen many of the skills required to consisitently beat the games, my recommendations for where to play should make a lot more sense. When you get started, remember to look out for any multi-tabling regulars and to avoid games with too many of them.